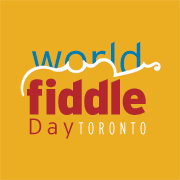 Hi all: Please join Anne Lederman and Tom Leighton, tonight, Sept. 21 for the Toronto Fiddle Collective’s first event of the 2017/18 series. Anne will do a workshop at 7, Tom and Anne will present a short concert at 8 followed by a Jam. It’s all happening at the West Toronto Baptist Church, 3049 Dundas St W, Toronto. COST: $35 for the evening, or just come for the Concert, $15. We would love to see you there to kick off a new season of fiddle gatherings. This was a great night! I enjoyed learning the new tune, and the fine concert by Anne and Tom! The jam was lively and a lot of fun!